Current monitoring of your AC power loads is now possible from anywhere in the world using the Particle Photon* WiFi cloud communications module. Monitor current and keep track of your power consumption using your favorite computing platform. This controller has four monitoring channels, precision tuned to monitor the current flow through the on-board current sensor with a 3% or 5% maximum error rate (See Technobabble below). 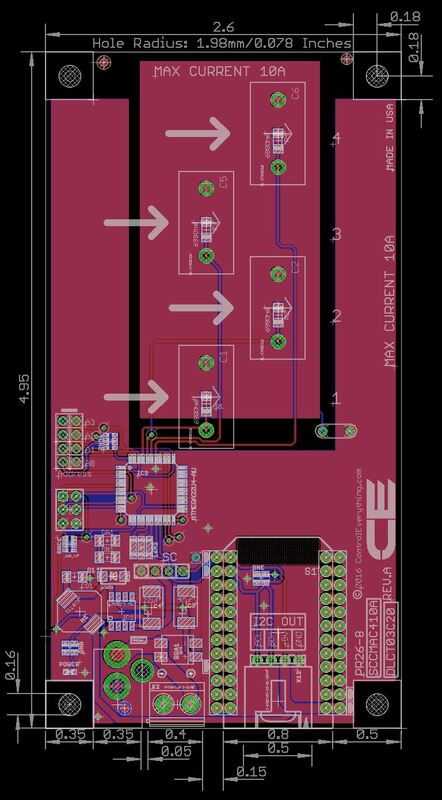 To use this device, simply run an AC power wire, up to 10 AWG in size, through the center of the sensors. 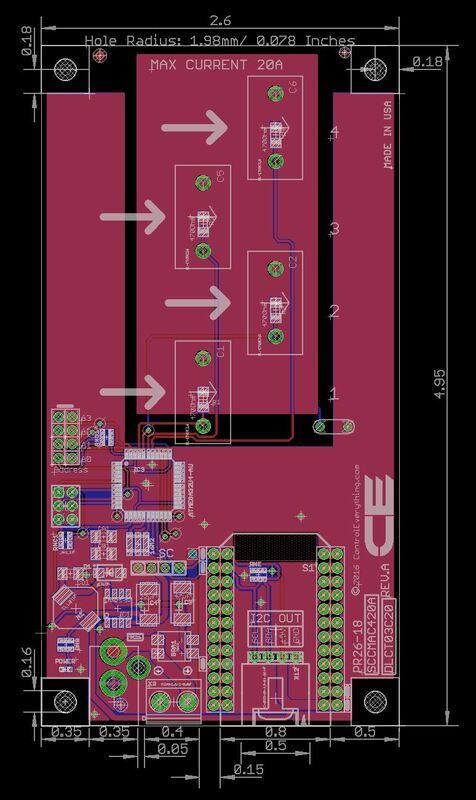 The on-board custom designed CPU will do the rest using I2C communications. 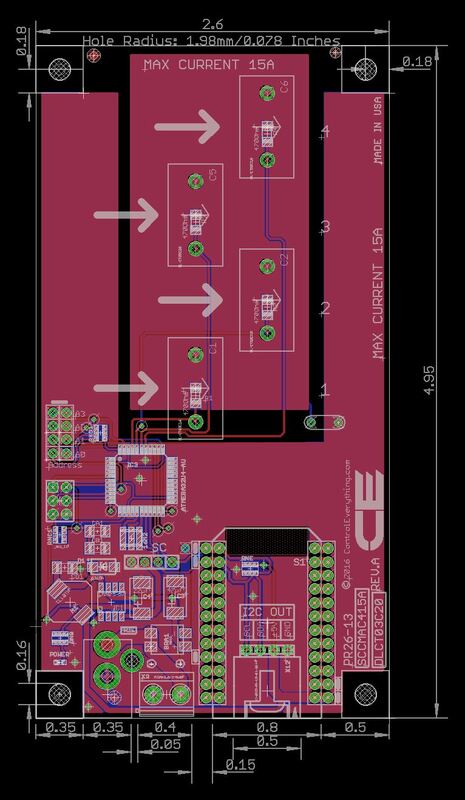 This controller includes an I2C expansion port, allowing expansion for more current monitoring inputs or other types of I2C sensors and devices. 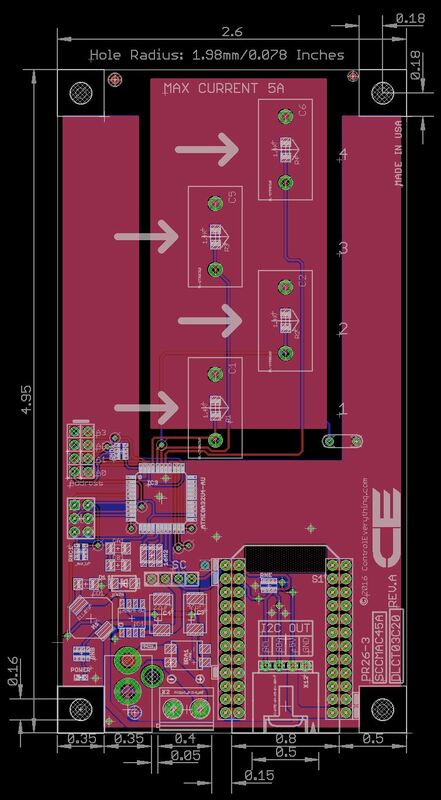 Four on-board address jumpers allow expansion of up to 16 current monitoring devices through the I2C expansion port. Mix and match current monitoring controllers of any size to meet your specific application requirements. Software developers can take advantage of our ControlEverythingCom GitHub repository for current monitoring and programming samples. This device only requires a 12VDC power supply for operation, which may be plugged into the controller using a 2.1mm center positive barrel connector or on-board terminal block for direct wired power supplies. These devices are tuned for reading current up to the selected amperage. Exceeding the selected amperage through the core sensor may damage the on-board CPU. For best accuracy, we highly recommend choosing a controller with the lowest possible amperage rating required for your application. This device is designed for AC current measurement only and cannot be used to monitor DC loads. This device is typically more accurate than commercially available clamp meters and nearly as accurate as most direct wired meters. This device will arrive pre-set to a calibration value that was known to work well in our master designs. For higher accuracy, users may adjust our recommended calibration settings. All current monitoring controllers require half of a second to analyze and compute a current monitoring result for all channels. For best performance, we suggest communications with this device no more than once per second.